It’s mid-September and I already know my album of the year. Actually, I’ve probably known this since it came out in March. 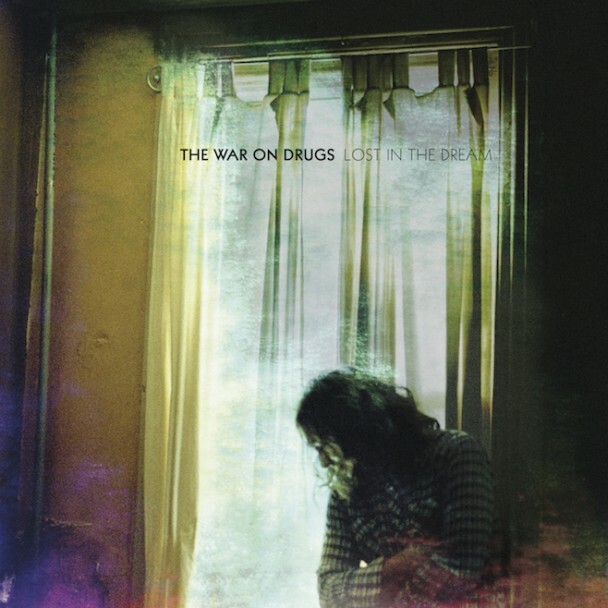 I have no idea how many times I’ve listened to The War on Drugs’ sprawling opus Lost in the Dream in the last several months, but it’s countless. Every chord change, piano melody, and vocal flourish has been grooved into my brain at this point. It’s so very rare that I wear out the play button on an album from a band that I had never heard of before. 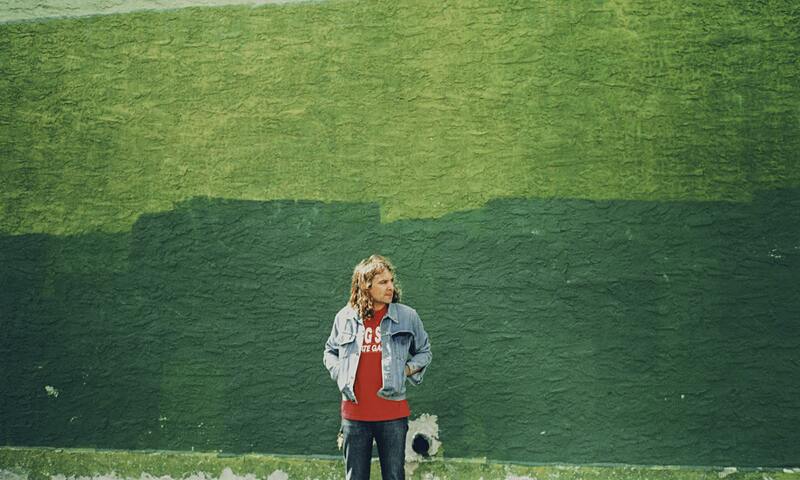 The War on Drugs hail from Philadelphia and had released two albums before Lost in the Dream. Their previous effort, Slave Ambient, won them some acclaim but didn’t make them much of a known commodity outside of serious indie rock circles. Their latest record was borne out of the break-up of frontman Adam Granduciel’s long-term relationship. Many of the songs have themes of loneliness, depression, and hardship, but this is not a straight downer of an album. “Eyes to the Wind” features the lyric, “I’m just bit run down here at the moment / Yeah, I’m all alone here, living in darkness”, which, okay, that sounds downer-ish, but it’s skillfully contrasted with an upbeat, swinging folk-rock jam. It’s difficult to sort out exactly how to classify The War on Drugs’ sound. This album has a compelling alchemy of indie rock/folk, Americana, psychedelia, and even alt-country sounds swirling from it. Consequence of Sound classifies the music on Lost in the Dream as “hypnotic heartland”. I would say that’s an accurate depiction, considering the pace does seem designed to lull you into some kind of stupor and the pure sonic expanse immediately makes you think of a flat Midwest horizon. In fact, it’s extremely train-like, with its constant forward motion and determination. This aspect makes it wonderful running music. I’m quick to put this album on if I’m in the middle of a particularly long run, because it allows you to almost zone out and keep moving comfortably, as opposed to the hard-charging, relentless, and tiring beats of the EDM and dubstep so many work out to today. The War on Drugs shift in and out of a Zen-like state with ease. Subtle shifts in some of these tracks reveal a band that loves both intricacy and momentum. At several moments [“Suffering” (2:50), “An Ocean” (1:50), “Eyes to the Wind” (1:16)] you can hear the songs ever so slightly drive into a higher gear. Of course, you don’t really hear those moments without repeated listens which is what makes it so rewarding. There are very few albums over the last few years – and probably ever – that I have given this much time. There are many reasons why, but Granduciel’s voice is one of them. At first, I thought he sounded like a Tom Petty impersonator and his music aped too much of Springsteen’s discography. Over time it became clear that, while they certainly have their influences, The War on Drugs are out to create their own voice. Granduciel’s lyrics can verge on the depressed and jaded, but he never sounds defeated. He has a haunting conviction in his voice that surges at just the right moments before a song takes off. A good example occurs in “Red Eyes”, the undisputed single and the record’s most accessible track, when he twice lets loose a “wooh!” that rips open the song, utterly transforming its shape. These are the electric and life-affirming moments on Lost in the Dream that set it apart. Most of the tracks run past the 6-minute mark, usually a tell-tale sign for a bloated, overlong album, but the ten songs on here never feel like they drag. Even alongside the brutally honest songwriting, there is an existential, searching quality to the music that lifts it up from the throes of sadness and confusion; it becomes increasingly transcendent the more you listen to it. It’s impossible to believe another album will come out in the rest of 2014 that will top it.